Deemed a major hazardous risk to the health of American citizens, there was a nationwide recall of Tylenol products starting on October 5, 1982. This recall began as a protective, yet reactive, response to the cyanide poisoning deaths of seven people in the metropolitan Chicago, Illinois area. Tylenol, which is an over-the-counter medication, was taken by all seven of the victims prior to their deaths. The first death occurred on September 29, 1982 with twelve-year-old Mary Kellerman. This death was followed by six additional deaths later that day and in the following days. 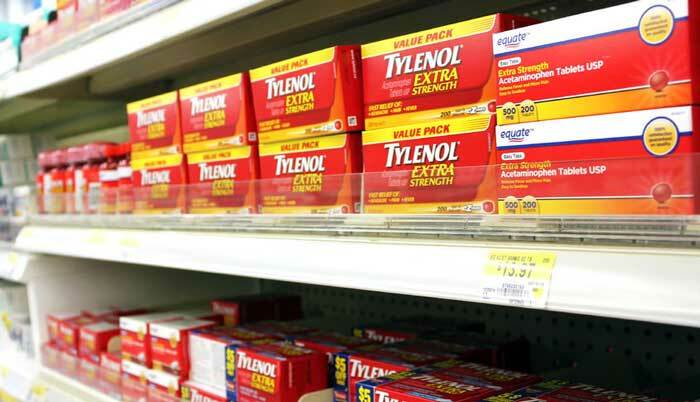 Within a week of issuing the recall, 31 million bottles of the acetaminophen-based, bestselling pain reliever were returned to McNeil Consumer Healthcare, a subsidiary of Johnson and Johnson. The effective, timely and assertive response of the pharmaceutical company to this health disaster was found to be extremely satisfactory and appropriate to many. Investigations through the ranks of the local Chicago Police Department, the Federal Bureau of Investigation (FBI), and the Food and Drug Administration (FDA) revealed that the Tylenol capsule tampering more than likely occurred at the retail level not during the manufacturing of the drug. Investigators came to this conclusion since all the victims resided in the Chicago area. Investigators believe that an individual or individuals took the medication from the shelves, laced some of the capsules with potassium cyanide and then replaced the medication on the retail shelf. To date, there have been no murder arrests connected with this crime. However, a New Yorker, James Lewis sent a letter to Johnson and Johnson declaring that the Tylenol cyanide poisoning deaths will stop upon payment of one million dollars. James Lewis was charged with extortion and sentenced to prison. Though he served thirteen years of incarceration and was thoroughly investigated before and after his prison time, there was never sufficient evidence to formally charge James Lewis with the murders. Other suspects were investigated and cleared of committing the murders. There have not been any lawsuits lodged against Johnson and Johnson for the culpability in connection with this disaster. Unfortunately, there have been several copycat cases of medication and food tampering in the wake of this disaster. There had been at least 270 copycat cases reported around the country the month following the murders. In 1986, there were two deaths, one in Tennessee and one in New York associated with cyanide-laced Tylenol medication. As a direct result of the Tylenol cyanide poisoning related deaths, there has been a revolution in product safety and safeguards to health. Tamper resistant packaging, as well as increased scrutiny during manufacturing of food and medication, has become a mainstay in our country.